I went to an education conference recently, and in one session a maths expert shared ‘Think Boards’. 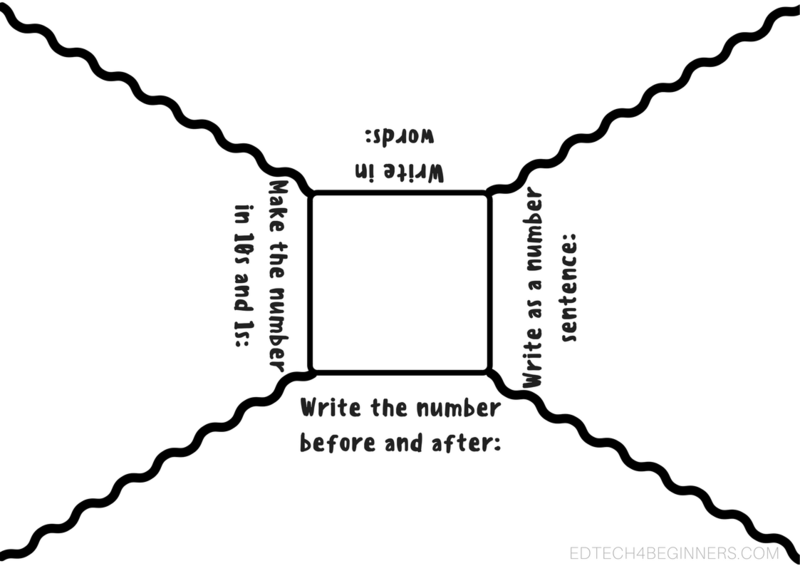 They are a simple but excellent idea, and fit in very well with maths mastery. They basically encourage students to explore numbers or problems in a deeper way. Have a look at some of the templates I have created (see below) – feel free to adapt them 🙂 I have also included some completed ones, so you can see what they look like when done. Maybe Think Boards could be used in other subject areas too? How about an English one: the middle is a word and in the outside sections, the children have to write the definition, a picture, synonyms, antonyms, super sentences etc. Have a go! Let me know your thoughts by commenting below. Fantastic idea! I like how it is organized on the page. How are you using them? Are these think boards printed out on paper and students complete paper/pencil? Or, are they .pdf files that students can open on their iPad and use the mark-up tools? Great idea – I will definitely try this. That is exactly what I was thinking, use dry erase markers and you have a reusable class set. Unfortunately I cant see where the link is to print this? I love these, but I can’t print them. Could you send me the digital version for math.